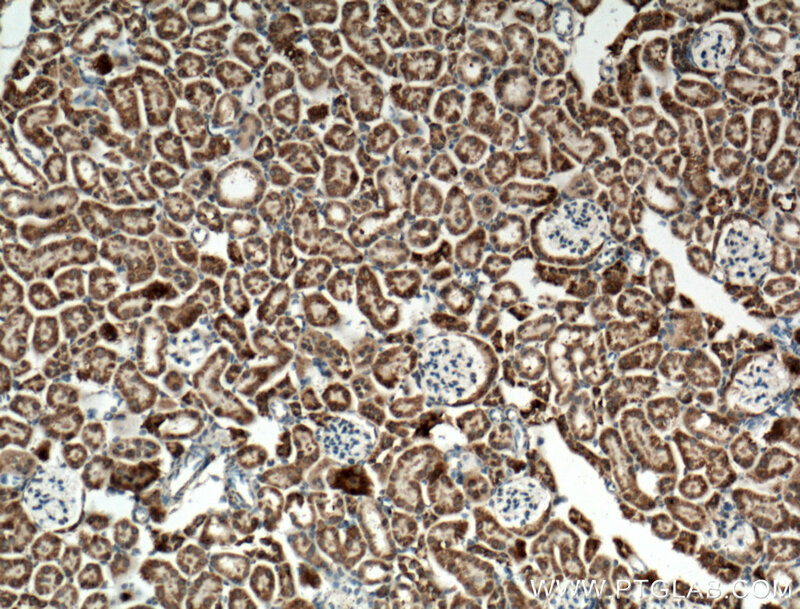 IP Result of anti-KGA-Specific (IP:20170-1-AP, 3ug; Detection:20170-1-AP 1:800) with HEK-293 cells lysate 3200ug. 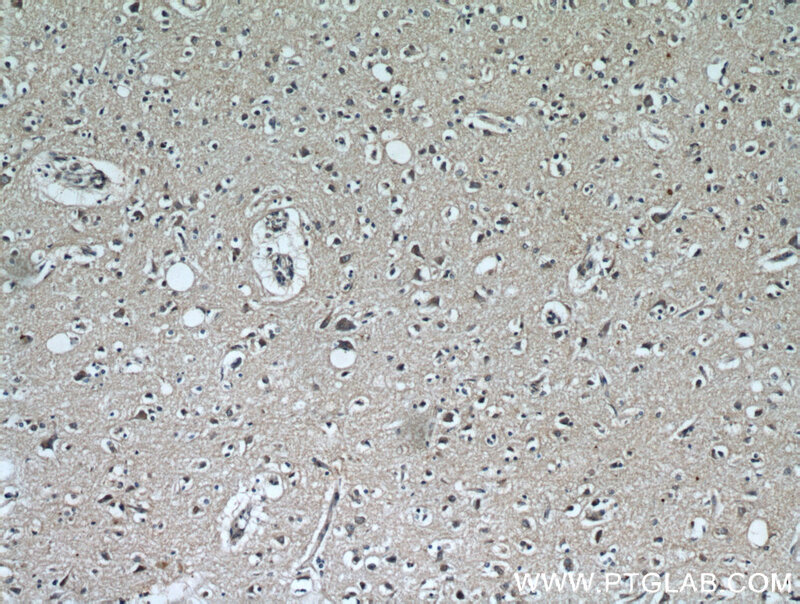 GLS, also named as GLS1 and KIAA0838, belongs to the glutaminase family. It catalyzes the first reaction in the primary pathway for the renal catabolism of glutamine. 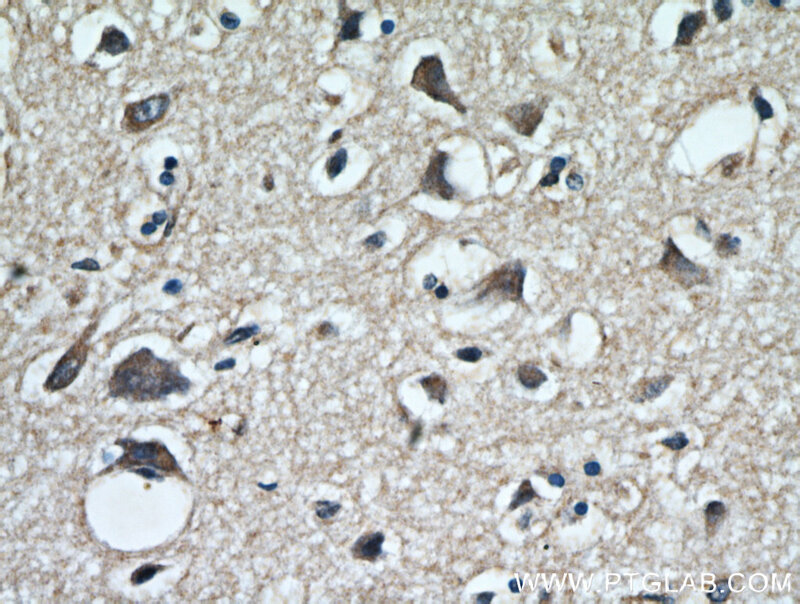 Glutaminase-, glutamate-, and taurine-immunoreactive neurons develop neurofibrillary tangles in Alzheimer's disease.The glutaminase band in AA/C1 cells is more intense than in HT29 cells, in accordance with measurements of glutaminase activity, and had the same molecular mass of approx. 63 kDa. 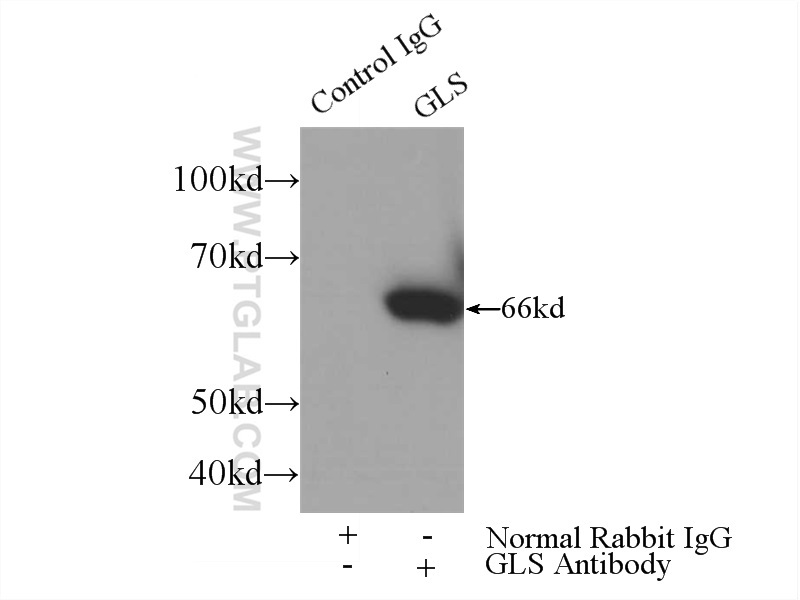 The bands for both cell lines are clearly different in size from both rat liver glutaminase (58 kDa) and rat kidney glutaminase (65 kDa)(PMID:12408749). 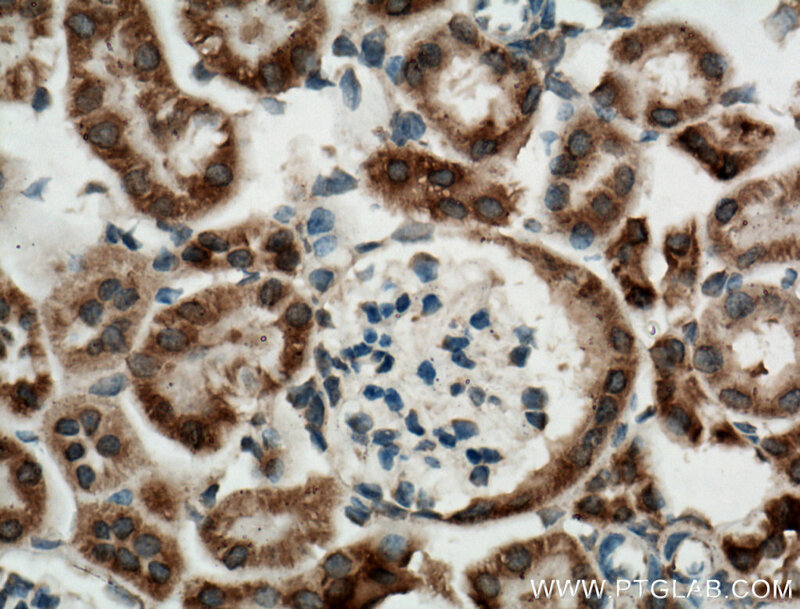 It also reveals a molecular weight of 83-84 kDa as a phosphate-dependent glutaminase(PMID:447624;7512428). 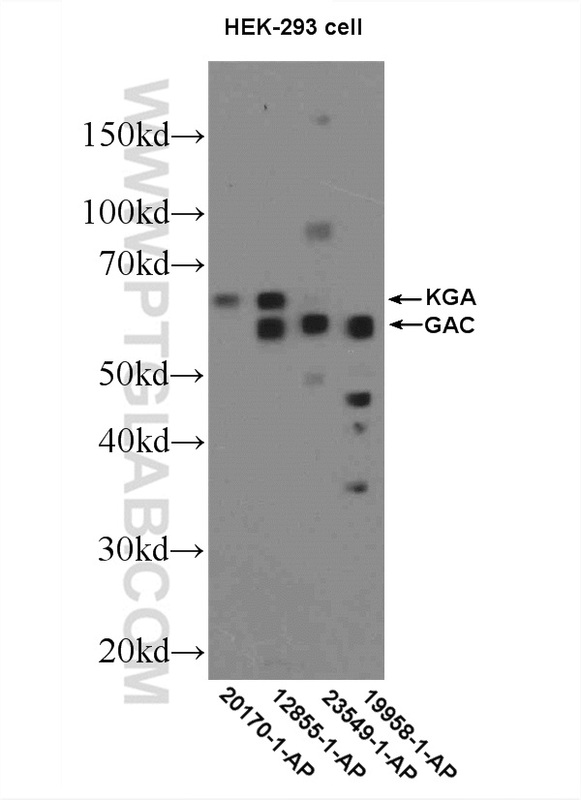 It has 3 isoforms produced by alternative splicing named as KGA,GAM,GAC. 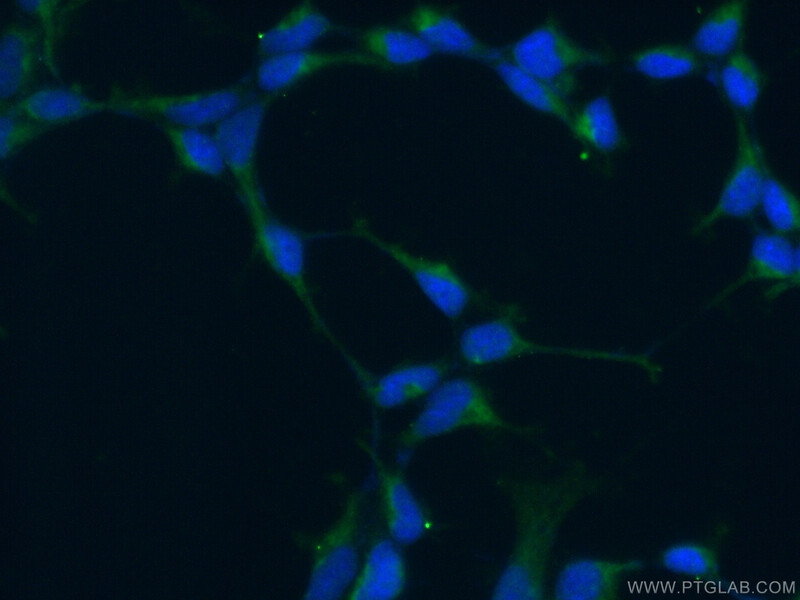 This antibody is specific to KGA. Metabolic reprogramming induces resistance to anti-NOTCH1 therapies in T cell acute lymphoblastic leukemia. Evidence for altered glutamine metabolism in HIV-1 infected primary human CD4+ T cells. The Progestin Receptor Interactome in the Female Mouse Hypothalamus: Interactions with Synaptic Proteins Are Isoform Specific and Ligand Dependent. 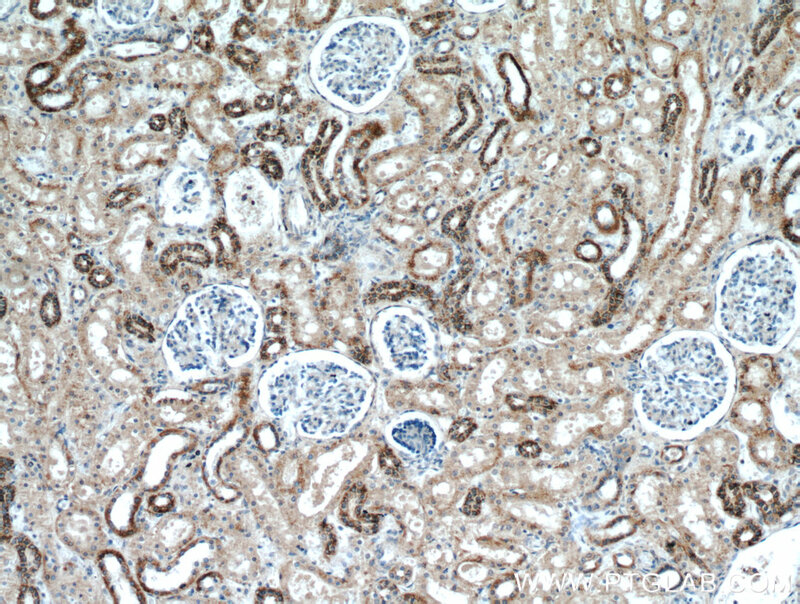 Immunohistochemistry of paraffin-embedded mouse kidney tissue slide using 20170-1-AP (KGA-Specific antibody) at dilution of 1:100 (under 10x lens) heat mediated antigen retrieved with Tris-EDTA buffer(pH9). 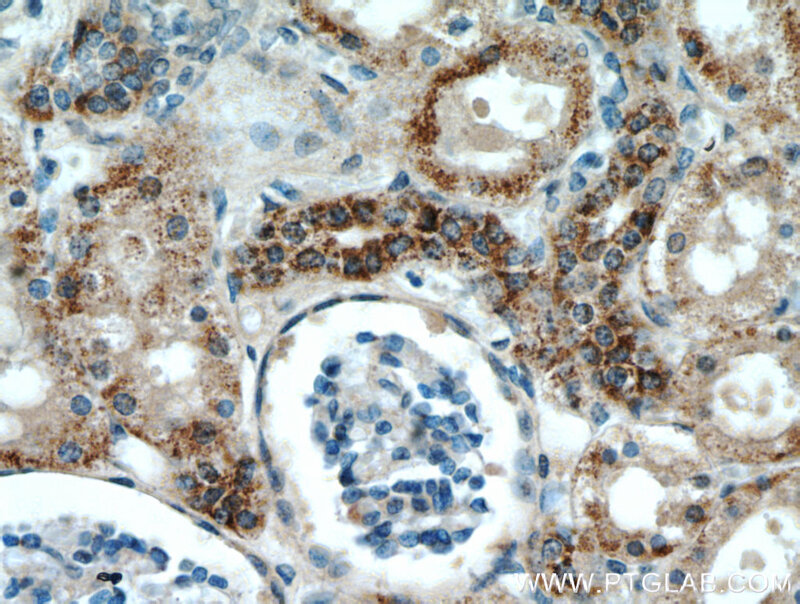 Immunohistochemistry of paraffin-embedded mouse kidney tissue slide using 20170-1-AP (KGA-Specific antibody) at dilution of 1:100 (under 40x lens) heat mediated antigen retrieved with Tris-EDTA buffer(pH9).